The Pride Show! 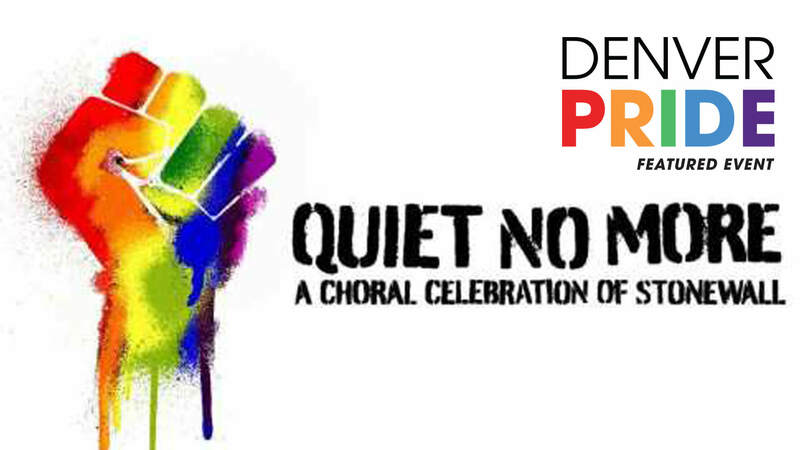 The Denver Gay Men’s Chorus and Denver Women’s Chorus come together to celebrate Stonewall’s landmark 50th anniversary with several shows around the metro area in preparation for their trip to New York City to join with other gala choruses across the country in participating in this special event! Denver Pride is produced by The Center, a registered 501-c-3 nonprofit organization that provides year-round programs and services for the LGBTQ community. The Center is a safe and welcoming place for our proud, diverse LGBTQ community. When you visit The Center, you’ll be affirmed and accepted, heard and understood.